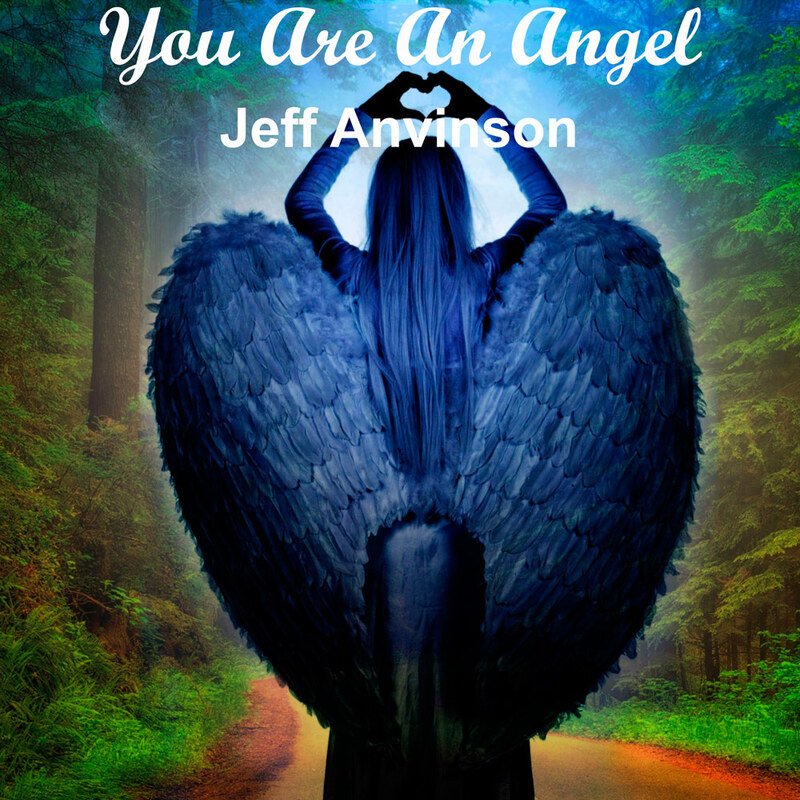 Anvinson About "You Are an Angel"
Composer Jeff Anvinson is a versatile musician who has performed, composed, arranged, recorded, produced, taught, written published reviews and articles, and transcribed music. He's also worked as a professional music copyist and conducted various ensembles. He has performed in the US, China, and Canada, in major cities such as New York, Shanghai, Philadelphia, Minneapolis, and Winnipeg. 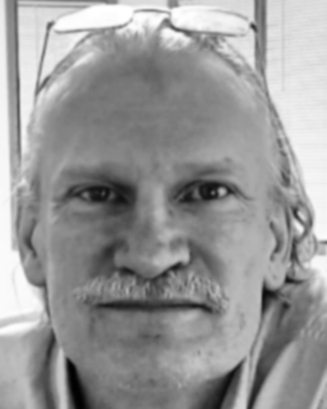 Teaching has been a big part of his career, and he has been an educator in universities, public schools, community education programs, commercial music stores, private practice, and on the internet. He has taught more than 25,000 private music lessons and 160 undergraduate and graduate sections of classes on a variety of music subjects. Besides songs, he has composed or arranged works for piano and guitar solo, and ensembles such as chamber orchestra, wind ensemble, and others. He composes in pop, classical, and jazz styles. He holds bachelor's and master's degrees in music, studying at three universities. His most famous teacher is Dominick Argento, with whom he studied orchestration, who is a recipient of the Pulitzer Prize for Music. He also studied with Paul Fetler, an internationally-known composer and former student of Paul Hindemith. As a performer, he played in master classes led by multiple Grammy Award winner Sharon Isbin and other professionals. He lives and works in East Grand Forks, MN, originally hailing from Oslo, MN. Composing doesn't often come easily to Anvinson. He said, "The muse is stingy with ideas, so I have to work hard." The composition of "You Are An Angel" came together in a few weeks of hard work, peppered with flashes of creativity, which he believes are probably unconscious byproducts of perseverance. Usually a composition starts with trying out various ideas inspired by emotion, then a spark of creativity comes as if out of nowhere. Then he continues to develop the ideas, which is usually again interrupted by more bursts of imagination. Writing songs for Anvinson is a way he can work out vexing life issues. Toiling to write a song produces something that at first presents the issues, expresses the conflict, then, when the song is finished, presents a solution to the problems. He said, "'You Are an Angel' was deeply personal, having been inspired by and written for the most important person of my life, so my motivation was very strong." 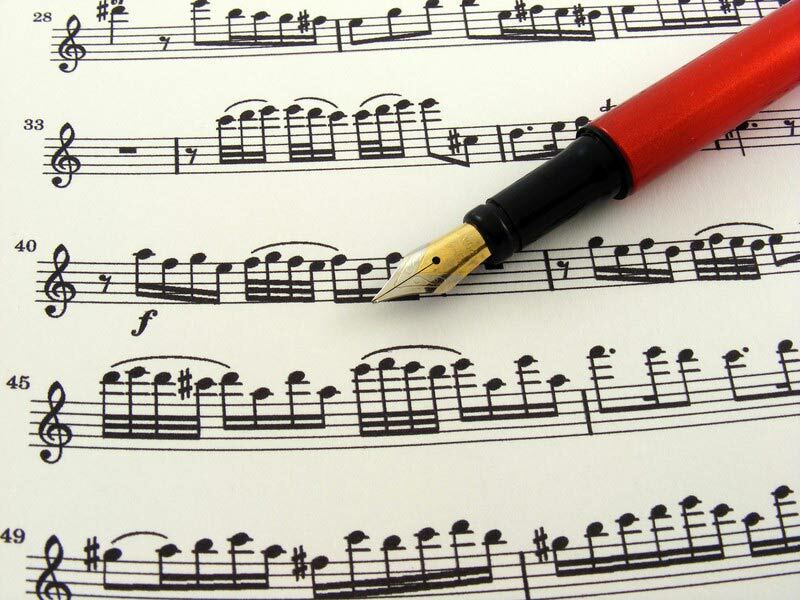 As he usually does when composing, he wrote the song in staff music notation, using his software workhorse, Finale. 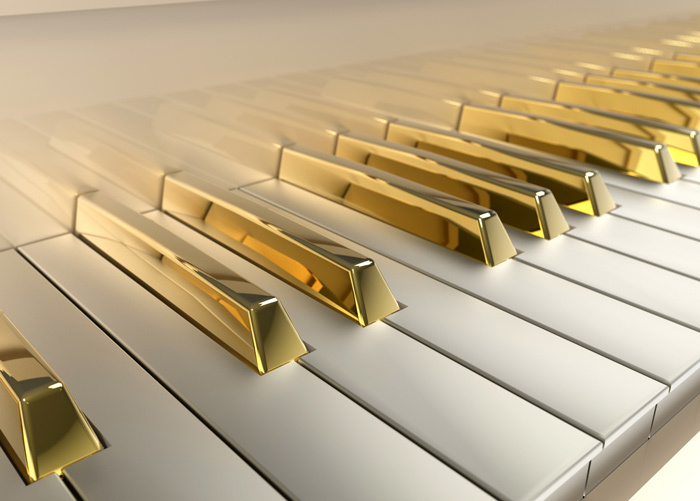 The piano part started to gel first, along with the melodic ideas. The organ, bass, guitar, and drum parts came later. Once he got it all written down, he analyzed and improved it, rewriting certain passages. Ultimately he notated all of the parts for piano, lead vocals, background vocals, guitar, and bass. The organ and drum parts were composed using recording software. 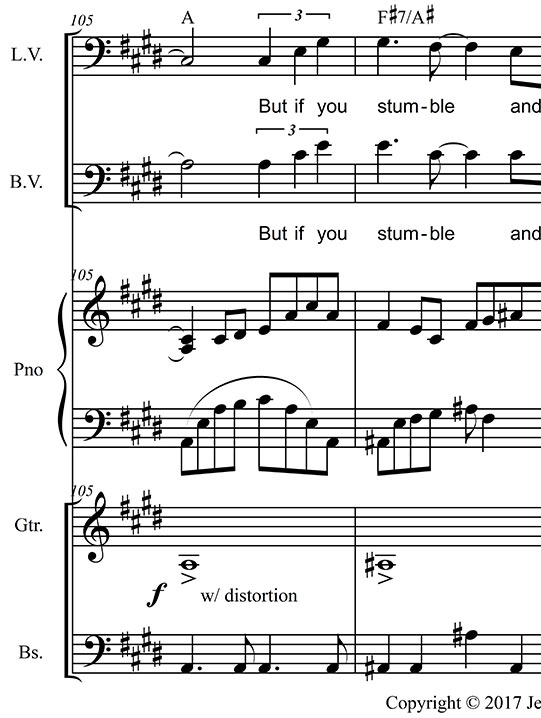 The harpsichord part in the second half of the song is a literal doubling of the piano part, to create additional tension which is resolved near the end. He created the lyrics last, matching the emotional content of the music, and expressing literally and figuratively what the music does abstractly. The composition process took 3-4 weeks, followed by recording. Anvinson decided to perform as much of the music as he could, but he wanted some of his private students to be on the recording too. Looking for a boy's voice led him to quickly think of Simon, who had sung before. Finding a girl to sing was not so easy. 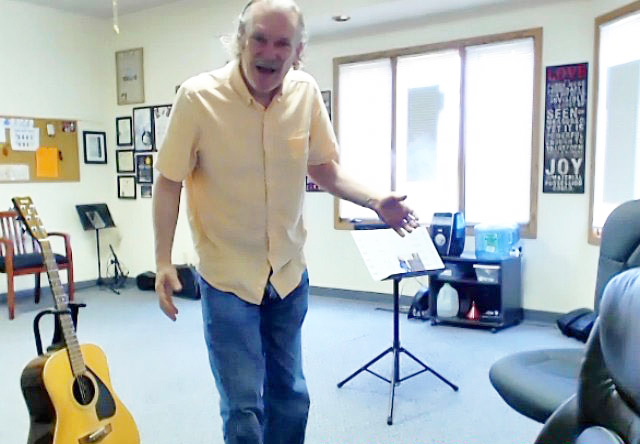 There were very few candidates in his teaching studio because he rarely teaches singing. Finally he asked Claire if she wanted to sing on the recording. She went for it, and together with Simon, recorded the vocals for the middle section of the piece. For the small guitar part near the end, he knew who to call on: Charlotte, also a student. With very little prompting, she recorded the distorted guitar part near the end, which drives the crescendo on the words " . . . if you stumble and fall, sing like your soul's filled with light. Follow your heart!" Recording young musicians, aged 17 and under, is something Anvinson does fairly regularly in his private teaching practice. He believes that it builds confidence, motivates students to set goals and practice, and introduces young students to recording technology. The recording phase took a few weeks, with many takes for the vocals, which were whittled down to the best ones. Then Anvinson set out on the grueling and time-consuming editing that produces the final product. This was completed with part-time work done over several months, with a few long breaks where he listened to the song over and over in his car and studio - finding spots that needed tweaking. Anvinson decided to change the words in some parts during this time, which required re-recording the lead and background vocals in those sections. "I struggled hard to come up with an ultimate meaning for the song that was more universal in scope, while paying homage to the person who inspired me to write the song", Anvinson said. Finally, after this process of about six months, he thought that the recording was not perfect, but as good as it was going to get without starting over almost from scratch - which he knew would take additional weeks. He then released it on iTunes and Amazon. Anvinson knows that most independent small-studio songs don't usually sell very well, unless lots of money and time is spent on PR. Since he can't really afford to do that sort of thing, he'll promote "You Are an Angel" through social media, students, friends, and family. Anvinson says that "I'll be happy if the person I wrote the song for likes it, it moves people, and I sell more than a few copies. It feels good to share the song with people so it doesn't just exist in a vacuum." Plus, the young musicians on the recording get the positive experience of seeing their work online. He told them that they would get a percentage of the gross sales revenue. Anvinson's next project is to finish a new song he's composing, and then record and release it. Waiting on the shelf are two or three songs that are already composed. He said, "The entire process of composing, recording, then editing, takes an enormous amount of time." Thankfully, his next song will be less challenging to produce than "You Are an Angel". "I've never written a song as complex as 'You Are an Angel'. The next song I work on won't be as time consuming", he said. If you're watching for his next song, it'll be out in a few months. Also keep an eye out for a cover of the popular song "Roar", which was recorded by thirteen of his young students, with a very small part of the arrangement recorded by Anvinson. Anvinson arranged the song to make use of as many of his young students as possible. As with "You Are an Angel", they will share in any gross sales revenue. Check out my other websites or follow JLA Music on twitter. JLA Music takes care not to infringe on anyone's rights. Please contact jla@jlamusic.com if you have questions.